Campbell & Kennedy (C&K) was appointed by Brooke Weston Trust and Ormiston Academies Trust to install Solar PV as part of a large energy saving project. The installation was the first works of its kind with both trusts joining forces to submit a joint funding and installation bid. The Trusts secured an £800,000 loan from the Education and Skills Funding Agency to fund the project. As well as cost savings and increased efficiencies, the work will ensure compliance and reduce the impact of their buildings’ CO2 emissions. The works were awarded to Campbell & Kennedy following a competitive tender via the YPO Low Carbon Electrical Micro-generation framework. C&K managed the entire project, overseeing its successful delivery from start to finish. 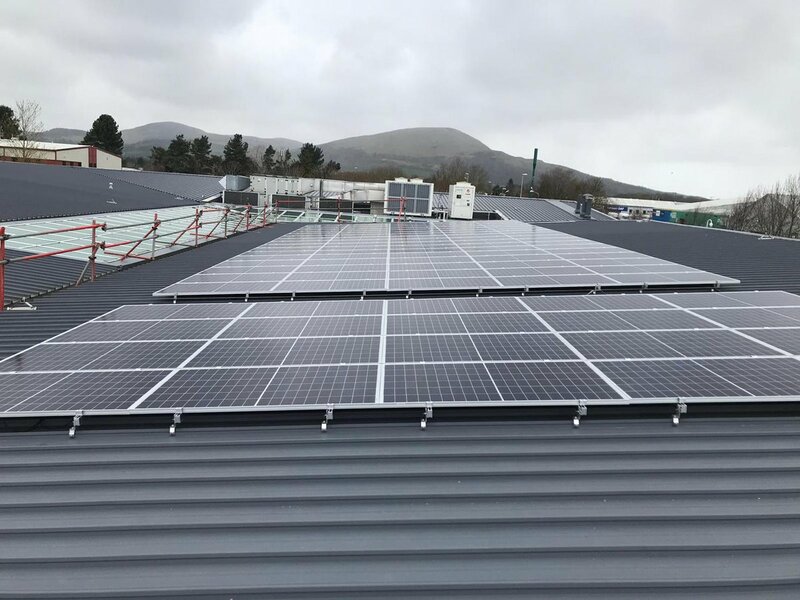 The C&K technical team performed a full site survey at the schools and designed each PV system to specification, ensuring that they met each Trust’s requirements and provided a maximum return on investment. Following the full design process, C&K began installation of the PV systems with teams of highly qualified and professional engineers. Each team was also supported by a dedicated project manager to ensure each school was of equal priority and that the installations were of a high quality and carried out in a smooth and efficient manner. To date over 500kWp and 1800 panels have been installed across eight schools, which will reduce carbon emissions by over seven thousand tonnes during the lifetime of the systems. The project was a huge success, with each installation completed within the expected timeframe, on spec and to the client’s approval. This installation will contribute towards the Trust’s commitment to achieving their CO2 reduction target as well as help them save money on their energy costs and generate income from the Government Feed-in Tariff (FiT) scheme. A total of 350kW of solar panels across the Trust schools should yield over 300,000kWh of electricity per annum for the next 25 years, saving over £1m after the loan has been repaid. Brooke Weston Academy has already yielded thousands of pounds worth of savings in the first few months of the panels being installed. The generated electricity from the PV cells is providing electricity at 5.2p per unit with the excess being exported back into the National Grid.